Explore their adventures with the DOGBLOG. from a local vet. This morning he was out walking Lataya, Marocho while carrying four month old Chupeti. On the left is a gazebo which was carried out to sea, along with ash. 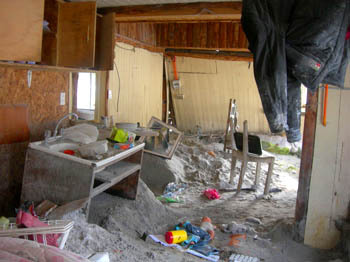 Instead of houses being filled with mud, as in the case of Hurricane Katrina, many houses are filled with ash. 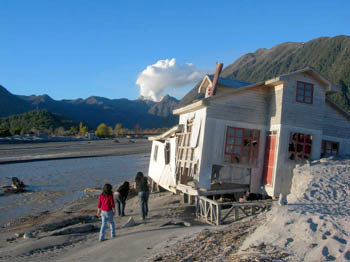 A vehicle from the Municipalidad was swept along the lahar. It appears it was dragged from its resting spot to the front of Municipalidad offices. 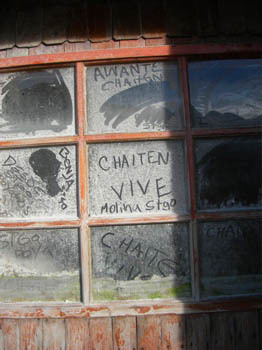 All over town are notes etched in ash coated glass proclaiming people's love of Chaiten, and their wish to see the town flourish once again. Dog, Bruiser and I walked out to what was once the harbor, but is now fairly solid ground. At least three houses, a truck and a gazebo were swept away. Residents of Chaiten weren't aware the volcano was about to blow in May 2008 because the skies were cloudy. Evacuation was announced on a Thursday night, and by Saturday afternoon almost all residents had left by vehicle or on the ferry. 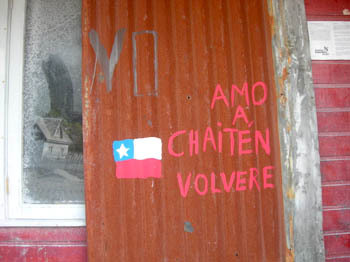 This sign has been painted on a house where the residents have yet to return. Just as during post-Hurricane Katrina, tourists stroll through the streets, amazed at nature's destructive power. In the distance you can see ash still spewing from the volcano a year later. 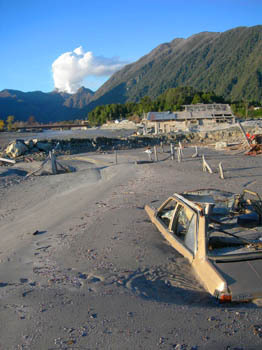 Numerous vehicles remain buried in debris and ash. This is besides the river whose course has now altered. 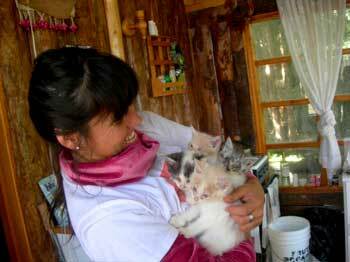 Carolina has used Facebook in powerful ways to help fund the animal rescue after the volcano, as well as reuniting animals with their owners. ...and in a children's school, not abandoned. 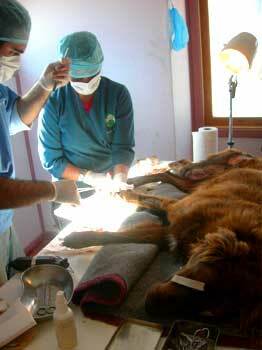 This pup was hit by a car, even though vehicles are rare in Chaiten during these times. 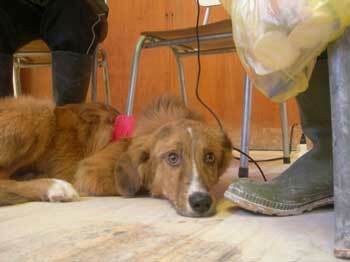 The nerves had been severed and the dog was chewing at the limb to try to get rid of the useless appendage. This is the first day up after the amputation. The government has turned off all utilities in Chaiten, so power comes from generators. Carolina runs her Facebook fundraising campaign by using a dongle on her laptop to connect to the internet. The connection is painfully slow. On the pups second day up from its amputation operation. 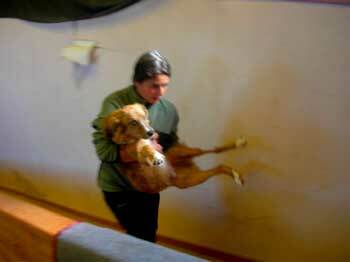 Daniela Ortiz, a 30 year old vet, carries the pup while Manuel, also a vet, holds open the door. The surgery is on the second floor, away from contaminating ash and inside a small room with windows which sun flows into keeping the patients warm. 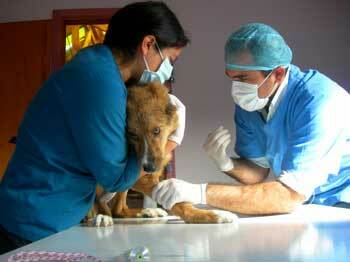 Manuel and Daniela manuever the patient so they can clean the wound. 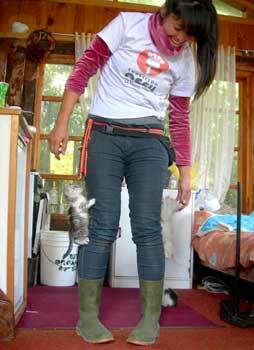 Vanessa Schultz, a film maker documenting the dog situation in Chile (http://www.21paradigm.com/heroDog.php) helps Carolina move the almost 20 puppies CEFU are currently caring for. This dog has been a victim of underfunded animal organizations. Because CEFU don't have enough crates to carry dogs they're rescuing, this dog was tied in the back of a pick up truck. It either jumped or fell out and was dragged ten meters. 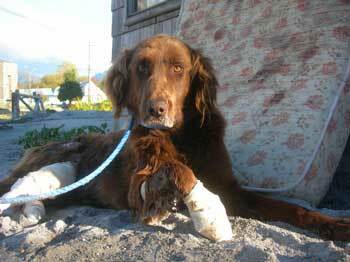 The dogs most severe injuries was its rear hindquarters, but there are wounds on it's front limbs too. Here, Chocolate is just coming out of sedation. 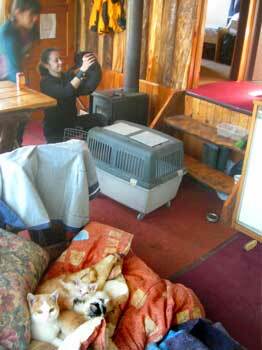 Lis checks out the condition of a new arrival at the cabanas where all cats are held. Lis is one of the unsung heroes of our world. 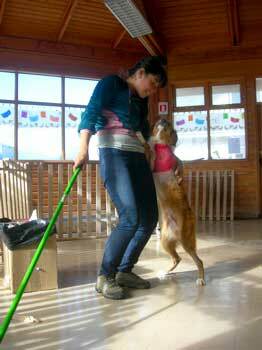 For two years she's fed and cleaned up after animals, without complaint. 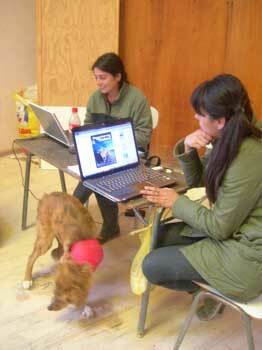 A week ago she began assisting the vets. Lis waits outside the surgery room with the next patient. This is one of the houses where CEFU has been dropping food for stray dogs in the hope more dogs will consider this a safe place. CEFU will be placing traps here soon to capture more dogs. 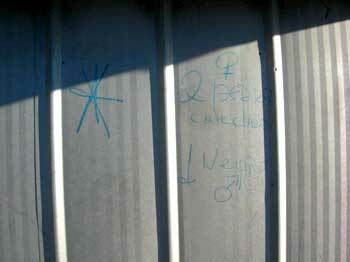 Just as in New Orleans, someone has marked how many animals, two puppies and a male dog, were found in this house. 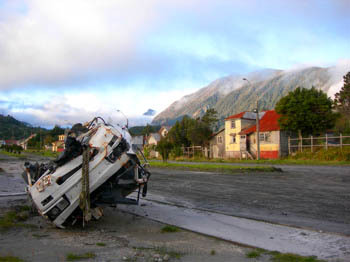 For those who've been following the tale of the ex-surveillance vehicle I bought for $750, I'm happy to announce that it drove into Ushuaia, Argentina, the southernmost city in the world that's possible to reach by vehicle, in mid-December 2008! The total is approximately $4000 for the van plus parts and maintenance, which calculates to $1000 a year. For those who think this is expensive, please note this includes tires. I haven't treated the van gently, and drove for a year in Costa Rica in an area with tracks worse than I saw in Kenya. It's not 4x4, but I try and treat it like one. does not take a lifetime of savings. 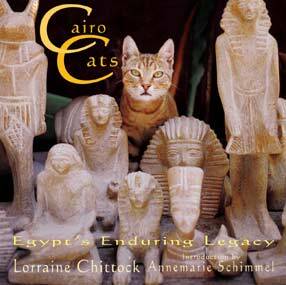 to purchase your copy now. In May 2008, the Chaiten volcano erupted for the first time in more than 9,000 years, throwing up a plume of ash and sulfurous steam for 19 miles. 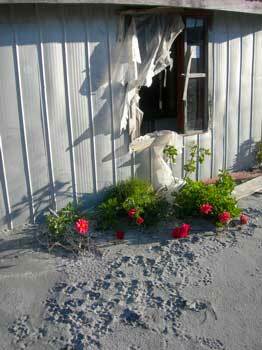 The ashfall drifted across Patagonia, and over the Atlantic Ocean. 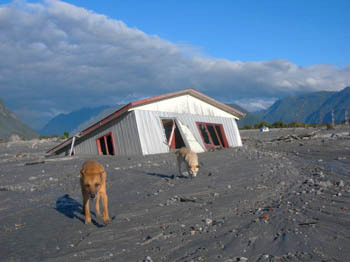 In a situation similar as to Hurricane Katrina, it was not the original calamity which destroyed much of the town of Chaiten, but a lahar (where debris is carried along a river). On May 12, 2008, a lahar caused the banks of the Blanco River to overflow and in the next weeks, the river excavated a new course through Chaiten. Almost a year later, the destruction is ongoing. Explosives are being used on a nearby hill so that huge boulders can be used to stabilize the banks. The government has decided to abandon the town, supposedly relocating and compensating all residents. 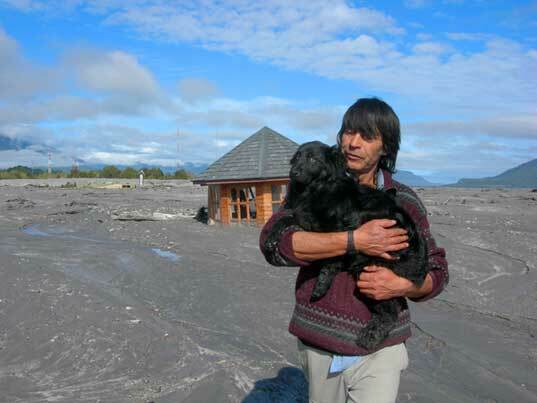 Just as during Hurricane Katrina, residents were ordered to evacuate within 48 hours of the volcano's first signs of eruption, without their animals. This left some 600 dogs to their fate. A year later, some 50-100 dogs are still loose. Many have taken to the woods and fields, having returning to a feral state. Others slink in and about the abandoned houses, rarely seen. CEFU, an animal organization based in Santiago, Chile puts out food at specific feeding stations and trapping these dogs is in progress. 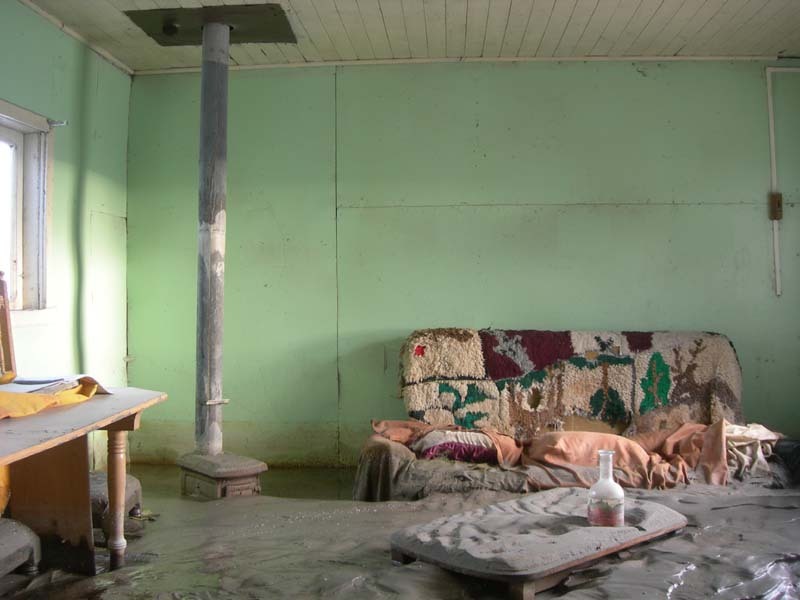 What I've found in Chaiten is a situation uncannily similar to what I saw in New Orleans - and a dedicated team of four individuals from CEFU.